* Christianity Today Denies that God Made Adam from the Dust of the Earth: Real Science Radio hosts Fred Williams and Bob Enyart rebut the cover story, The Search for the Historical Adam, revealing the science and Scripture that Christianity Today choose not to include. 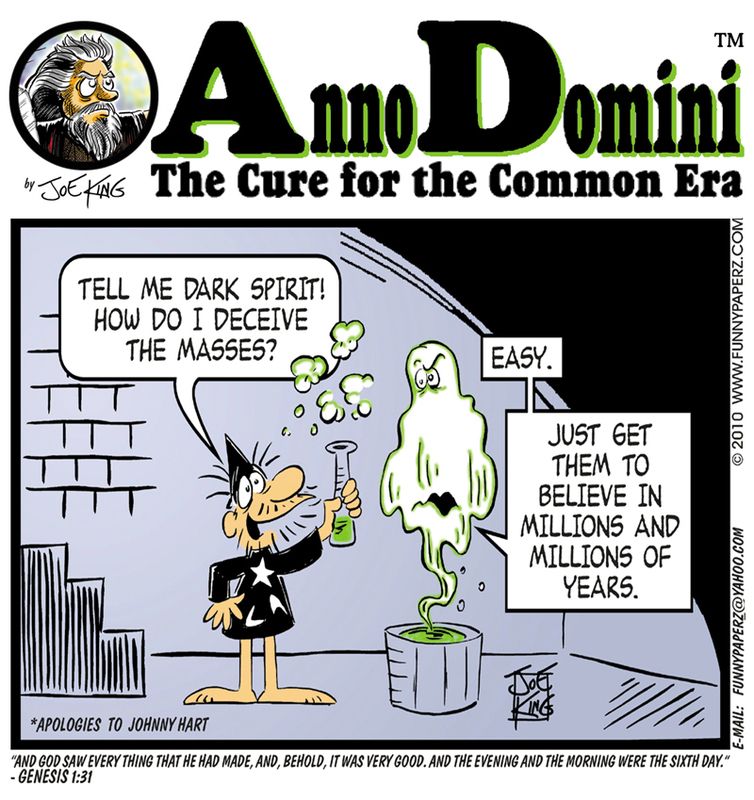 CT omitted the many discoveries published by evolutionists in refereed scientific journals that support the Genesis account of the special creation of Adam and Eve in the recent past. 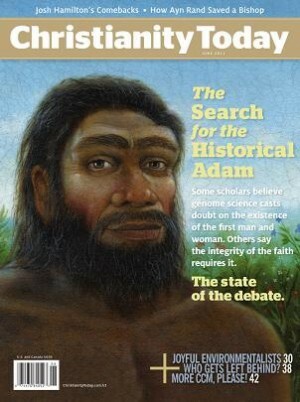 Rather than their "Search for" title, Christianity Today would have been more forthright to run their cover story as, "We Deny the Existence of Adam." The magazine, founded by Billy Graham, also failed to warn readers that the liberal churches that affirm abortion and homosexuality, and that even deny the resurrection of Jesus Christ, all began their moral and spiritual downward slide by denying the historicity of the foundational book of Genesis. Christianity Today is following in their footsteps with their claim that God put a human soul into animals that had evolved from ape-like creatures. Actual measured mutation rates, in fact, as reported by Ann Gibbons in Science magazine indicate that, if these rates have been constant, "mitochondrial Eve… would be a mere 6000 years old." See the latest in the scientific observations on the genetic information about Adam and Eve in Bob's article, Why Was Canaan Cursed? - by those who also claiming that "Adam" may have been an incorporation of thousands of individuals even undermine the New Testament genealogy of Jesus Christ. - reject many other events that the Bible presents not as parables or symbols but as actual history. And as the foundation goes, so goes the temple of the house of God, and eventually "Christian" graduates and future ministers begin to see even the resurrection of Christ as a metaphor. * New Testament References to Adam: By the inspiration of the Holy Spirit three New Testament authors mention the first man, Adam, eight times, in Luke 3:38; Romans 5:12, 14; 1 Corinthians 15:22, 45, 1 Timothy 2:13, 13, and Jude 1:14 and Eve twice, in 2 Corinthians 11:3 and 1 Timothy 2:13. Also, twice, the New Testament teaches us that mankind inherited sin through the rebellion of the first man (Rom. 5:12-19, 1 Cor. 15:21-22), and twice it records Jesus remembering that He created Adam and Eve "at the beginning", when God "made them male and female" (Matthew 19:4), "from the beginning of the creation" (Mark 10:6). * New Testament Flood References: Consider also that the New Testament presents Noah's Flood as an historical event. The Apostle Peter recalled that the Lord was patient, "when once the Divine longsuffering waited in the days of Noah, while the ark was being prepared, in which a few, that is, eight souls, were saved through water" (1 Peter 3:20) and in his second epistle, remembering that God "did not spare the ancient world, but saved Noah, one of eight people, a preacher of righteousness, bringing in the flood on the world of the ungodly" (2 Peter 2:5), he warns that scoffers will claim that "all things continue as they were [i.e., Lyell & Darwin's uniformitarianism] from the beginning of creation. For this they willfully forget... the world that then existed perished, being flooded with water" (2 Peter 3:4-6). The Epistle to the Hebrews reminds us that, "Noah, being divinely warned of things not yet seen, moved with godly fear, prepared an ark for the saving of his household," (Hebrews 11:7). Jesus Himself described the world "before the flood," with the majority ignoring God, "until the day that Noah entered the ark, and... the flood came and took them all away," (Mat. 24:38-39). For, as recorded by the New Testament's great historian, Jesus' warning included that after, "Noah entered the ark... the flood came and destroyed them all" (Luke 17:27). 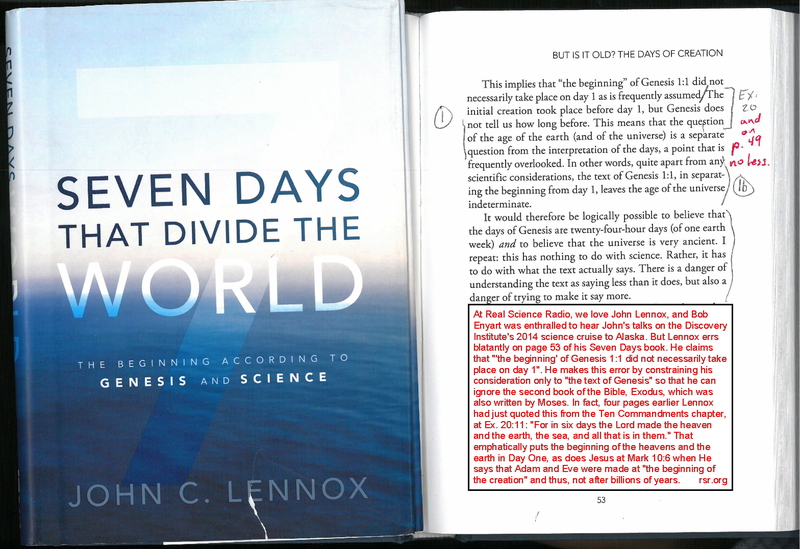 * New Testament References to Genesis: As pointed out by Henry Morris in The Remarkable Birth of Planet Earth, every New Testament author refers to at least one of the first eleven chapters and Jesus Christ Himself referred to each of the first seven chapters of the book of Genesis. * On the Day-Age and Gap Theories: See rsr.org/gap-theory. Today’s Resource: You'll just love the science DVDs, books, and written, audio and video debates offered by Real Science Radio! So you're invited to browse through our Science Department in the KGOV Store or to call us at 1-800-8Enyart (836-9278).